On our own, Koyo developed the plant site-oriented Stage type progamming,and providing user-friendly Koyo Kostac PLC worldwide constantly. 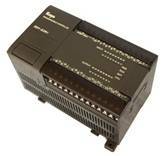 The SFC programming method, the same concept programming of Koyo Stage type, has been applied in IEC standard of PLC. It proofs the rationally of Koyo's Stage type programming that was recognized and accepted internationally. Now is really the time of information-oriented age, thus Koyo provide the substantial Koyo Kostac PLC and solution with the theme of "Connectability" globally.